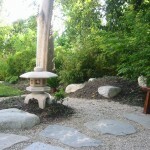 Tom has been designing and installing Japanese style landscapes for over 25 years. 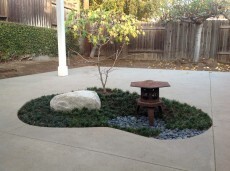 He started training Bonsai trees when he was only 16 years old. 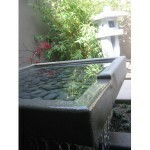 • Designer of gardens for the Pasadena Showcase House of Design for several years. 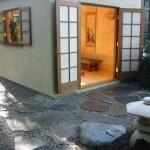 One year we transformed a section of a large back yard San Marino Estate into a tranquil Japanese Zen Meditation Garden with a Yoga Room set within the middle of the garden. 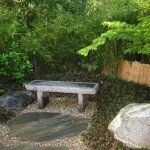 • Tom had been quietly transforming small private residential gardens into simplistic, calming Japanese gardens for many years but once he started to do it for public display at venues like The Arboretum and the Showcase House, this then caught the attention of those at The La Canada Descanso Gardens where he was then invited to teach classes at Descanso Gardens on Japanese Landscape Design. 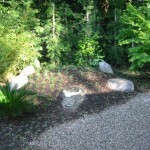 Tom focused his Lectures with an emphasis on Zen Buddhist Gardens. 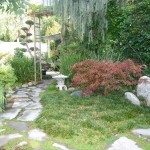 The Descanso Gardens class would culminate with a tour of a few of his own past Japanese Landscape Design & Installation projects at local, private residential homes in San Marino, La Canada, Pasadena and Monrovia. 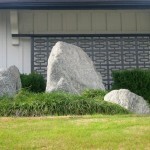 • Tom furthered his studies of Japanese Landscaping when he traveled to Japan with Ben Oki, who is the curator of the Bonsai collection displayed at the San Marino Huntington Botanical Gardens. 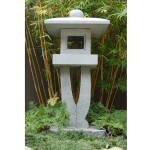 During Tom’s trip to Japan he visited many famous Temples, Tea Gardens, private landscaped estates and bonsai nurseries. 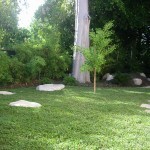 • Stone setting of Landscape boulders in a natural setting is one of our specialties. 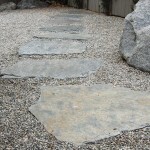 Setting the stones using ancient Buddhist and Shinto symbolism that have been used throughout Asia for centuries. 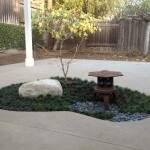 • With over 50 Bonsai in his own private collection, Tom has been a member in many Bonsai clubs such as The Descanso Bonsai Society, The Santa Anita Bonsai Society and The Golden State Bonsai Federation. 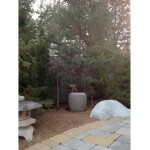 He has taken Bonsai training courses with many noted Japanese Landscape Designers and World Renowned Bonsai Masters. 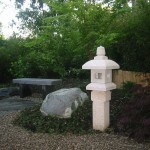 Tom says the reason he loves Japanese Landscapes is that he is just drawn into the simple calm feeling that he gets when in a beautifully designed Japanese Garden. It is thought provoking and enlightening to find the deep symbolism sprinkled and hidden within this ancient art.